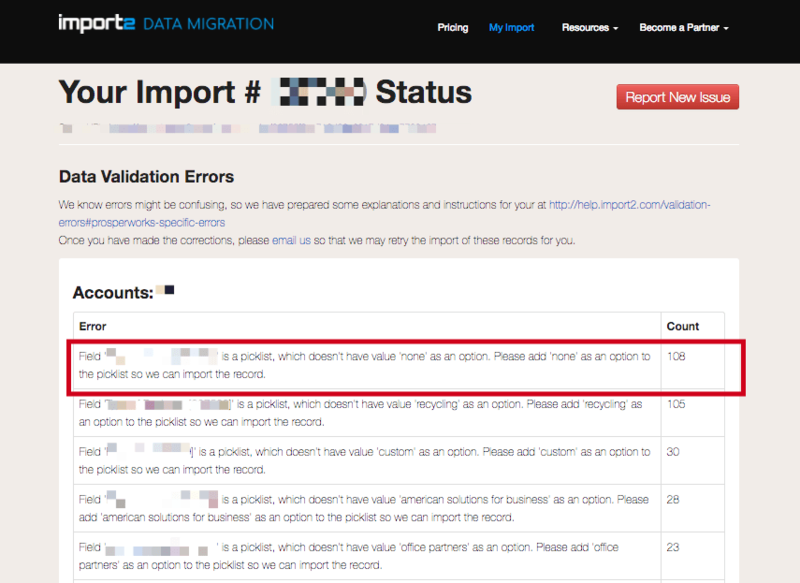 A data validation error occurs when there are records we cannot import due to your new tool's data validation requirements. If you have an error on one of the record fields (for example a missing picklist value), the whole record will not be imported. 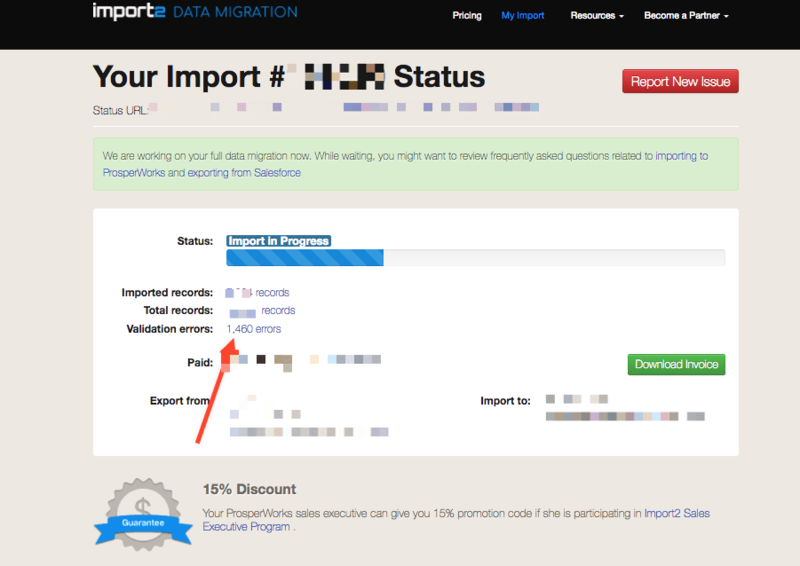 We will provide you with the complete list of errors post-import by email, and you may also find the summary of the errors on your import page in real-time as your import is in process. Validation errors can be adressed/ fixed and records retried and imported. Please read the error description to understand what caused the error. The solutions for individual validation errors can be found in this section of our help center.